Sometimes, I get an idea and then try and figure out how to translate that idea into a product. 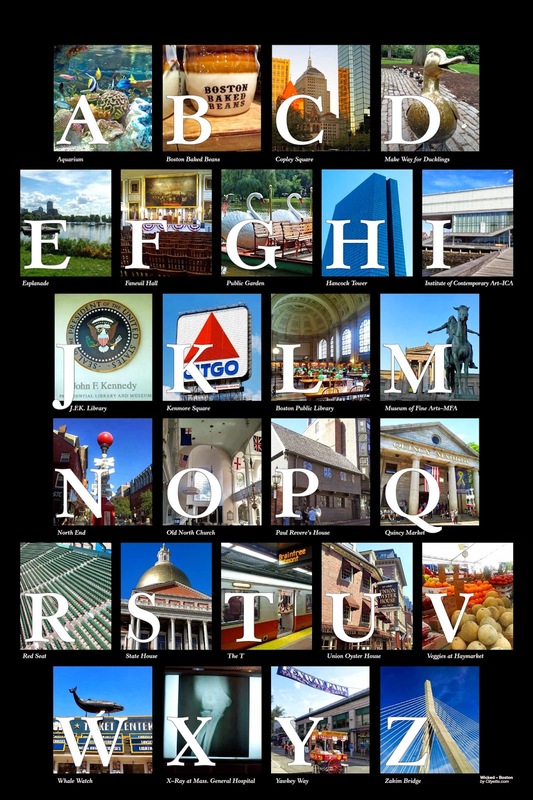 From this poster, we set out to see if we could come up with ideas for each letter of the alphabet, but for Boston. 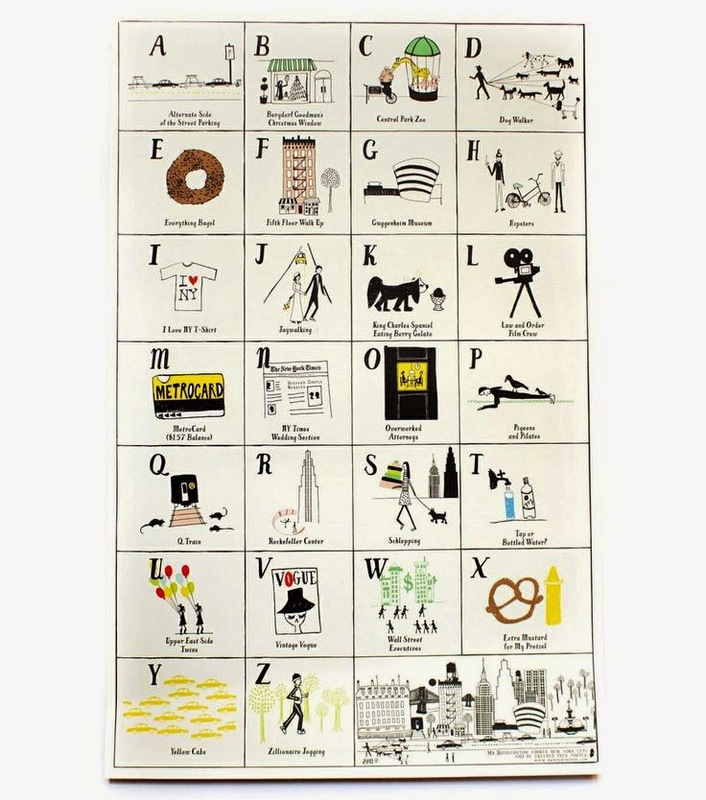 At the time we started, Mr. Boddington had only created the NYC loves ABC poster, but has since created a variety of similar posters for other cities, including Boston. Had we known there was going to be a poster with the same ABC theme created for Boston if we waited, maybe we wouldn't have set out to make our own. 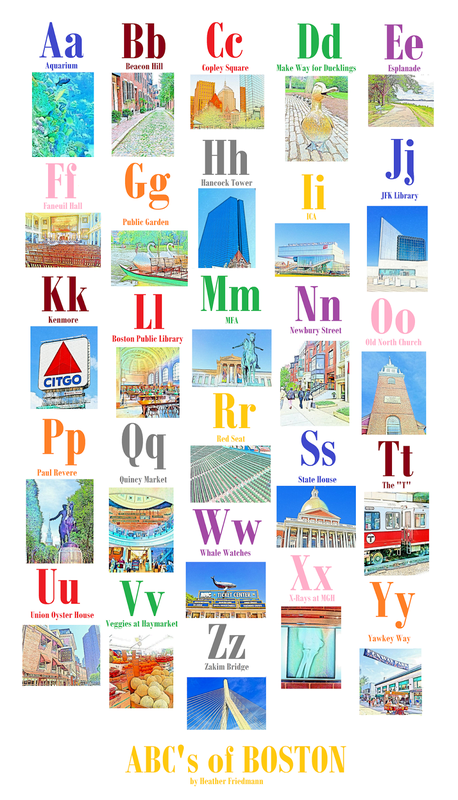 Needless to say, some letters were easier to match up with Boston icons than others. 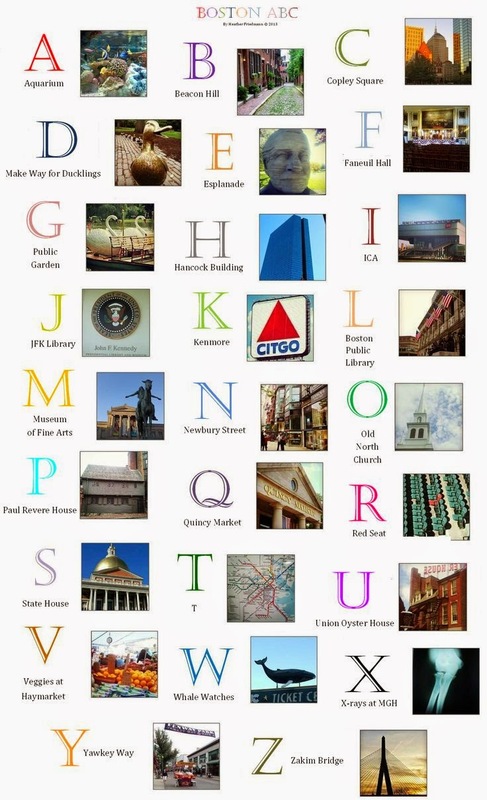 Here's a sampling of all the photos we took for options for the letter "C" below - cab, carousel, Celtics, Charles Street, Charlie Card, Cheers, Children's Museum, Chinatown, one of the many local churches, the Citgo sign, City Hall, cobblestones, Copley, and the Christian Science Center. Through trial and error, we realized it was going to be trickier than we had initially anticipated. Do you go with the better photograph or with the better affiliation with the letter of the alphabet? Aah! If you weren't yet aware, we have a very stubborn personality over here at Cityette, and so we just kept on keepin' on and keepin' on..... sorting, and experimenting, and getting rid of ideas that aren't as good as others. The one saving grace we had was discovering that the first X-rays in the world were taken at Massachusetts General Hospital (MGH) in Boston! Thank goodness! 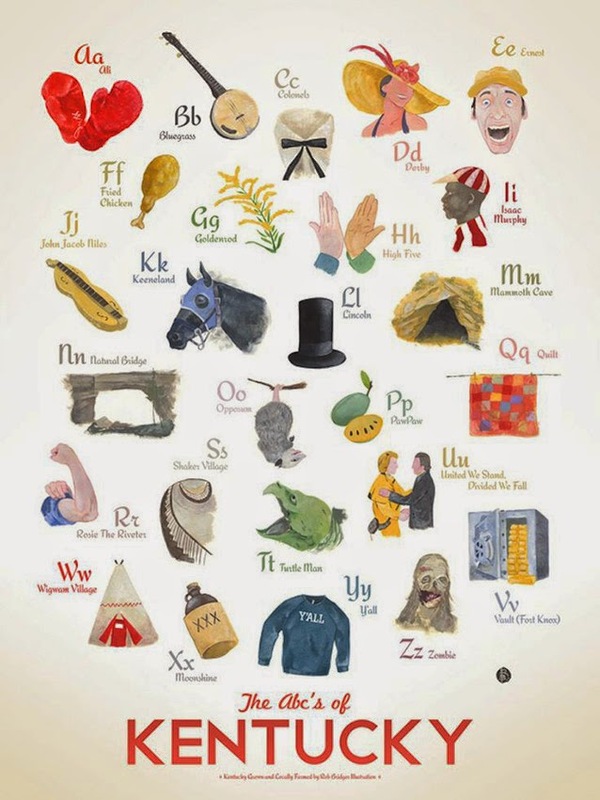 Betcha the inventor of the X-rays knew he was doing us a favor for our alphabet poster so many years later! The photography kept me busy for the better part of a year, maybe two. I wasn't doing this every day at lunch, but was probably photographing on average, once a week for roughly 50-90 weeks. As I was making progress on my photographs, I came to realize that it would be really nice to use the photographs in the poster rather than the illustrations that are in Mr. Boddington's poster. Problem was, some of the photos I had taken were on overcast days and other photos were taken vertically while others were taken horizontally. We realized once we had created the whole poster that it was too small initially. We couldn't just double the size of the poster without making it too grainy overall, so we chalked it up to a lesson learned and started again. Also, we realized that the layout wasn't so awesome because the rows and lines weren't matched up. We made a few versions of this poster before we decided to try a whole different version altogether. We met with a graphic designer and outsourced our idea to him, giving him creative license to interpret our idea as he saw fit. Here's one rendering of our photos done by Brian with his own layout and design. I liked it (still do) but I had some sort of complex battle with myself over the fact that I hadn't been able to bring my full idea to fruition by myself. As all this time had passed, the popularity of the ABC poster seemed to be taking off and so there were a variety of posters we could look at for inspiration. We also liked the idea of drawings for each letter, as Mr. Boddington had originally done, so we tried to figure out if we could hybridize the two. Notice how the photos for each letter sometimes changed over time, and how we were finally able to get blue skies for each photograph! We probably still aren't going to be able to let this go and will continue to create differing versions in the future. Are we insane? Yes, probably. I believe the next poster will be closer to the Kentucky poster we posted above with not square pictorials that would be more tailored to a kid's room or nursery. Stay tuned! PS we're going to do posts like these on product development as part of a series. Hope you'll like the look "inside"!